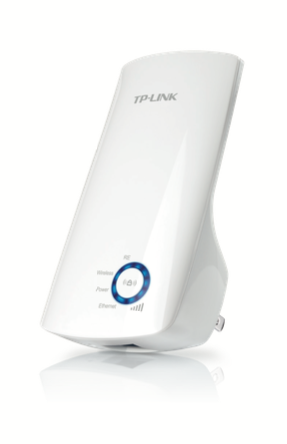 TP-LINK’s wall-mounted TL-WA850RE is designed to conveniently extend the coverage and improve the signal strength of an existing wirelss network to eliminate “dead zones”. Being incredibly user friendly, it is ideal for large homes or offices for experienced or novice users. Besides, TL-WA850RE can also be used as a wireless network adapter to help a wired device such as a smart TV or game console to receive Wi-Fi signals.